Last week, we made it clear – we’re fed up with all those old fashion no-no’s. The way we see it, rules were made to be broken. You just have to know where to start! Rule to break: Don’t wear white before Memorial Day or after Labor Day. Despite the popularity of this rule, white can be a very powerful look year round. The clean, sharp look is more about making a statement than reflecting a season. While the all-over color is what really pops, it’s important to break up your outfit with texture. Different fabrics, lace details, or even a very subtle pattern can accomplish this. If you want to soften the look, incorporate small amounts of light, neutral elements. If you’re feeling bold, add a pop of traditional black or a bright pop of color. Rule to break: Don’t wear all black. 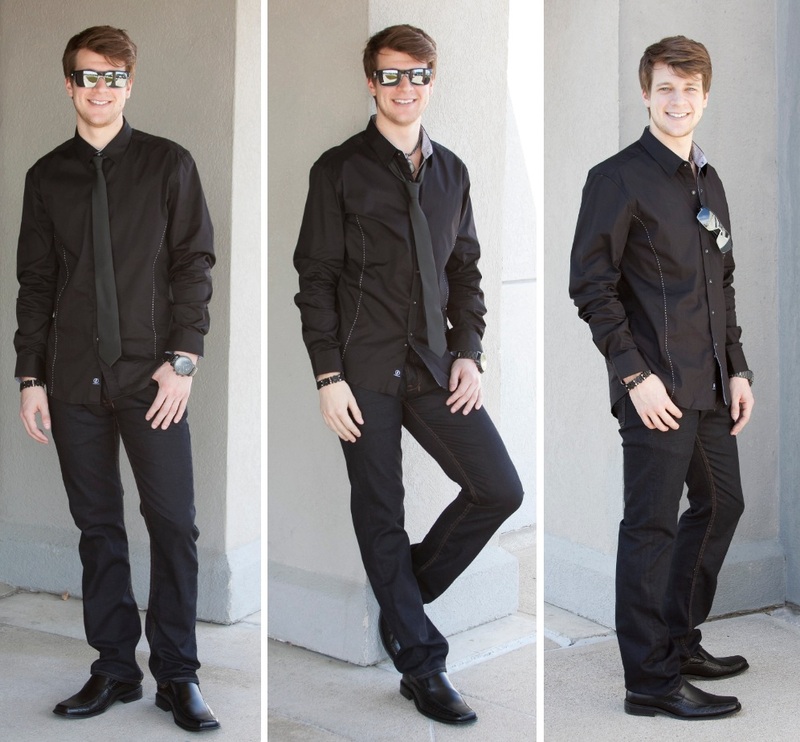 Try this look dressed up and polished, casual with a loose tie and necklace, or with no tie at all. It’s true that too much black can appear dark and dismal. But, it’s also true that when done right, all-over black makes a very fashion-forward statement. Start by choosing pieces that are fitted or flowy, but stay away from ones that are too baggy. Structured fits will balance the black, keeping the outfit polished and purposeful. Pops of metallic or colored detail like buttons, bold stitching, and/or accessorieswill help break up and balance the look. Go formal with metal, white, and grey accents, or utilize brown, worn, and colorful elements for a more casual vibe. Rule to break: Don’t mix patterns and/or prints. Contrary to this rule, we favor multi-patterned styles! While this look can be intimidating, it’s surprisingly easy to put together. First, choose pieces with similar geometric shapes or prints. 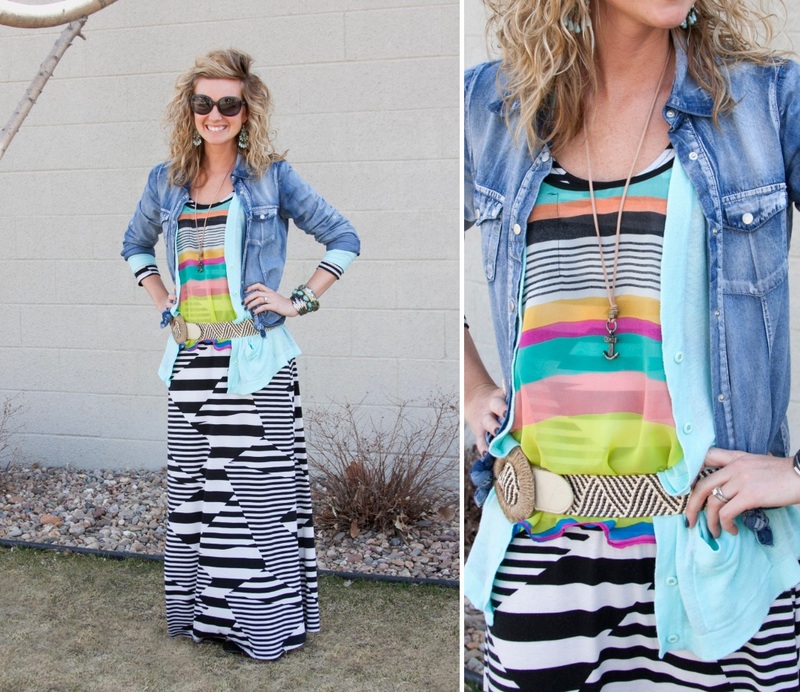 Opt for layers (over, under, and/or in between) in solid, complementing colors to balance out the look. Incorporating accessories can also highlight common colors to pull it all together. There’s only one steadfast rule we follow when it comes to these three looks: Step outside of your comfort zone, and trust your gut. Feeling unique and confident is what matters most! So, let us know – are you confident breaking these rules? What additional tips do you keep in mind when doing so?